Given the name of this publication, we sometimes get asked a good question: What exactly is a politico? There are a lot of definitions that fit, but here’s one that seems to work well: A politico is a participant in and/or an especially avid devotee of the theater of politics. There is no grander stage than the capital for this particular drama. And what is the main thing you do at the theater? You watch it, of course. And then you laugh or cry or yawn or boo. At the end, you applaud — whether out of admiration for the performance or gratitude that it is over. 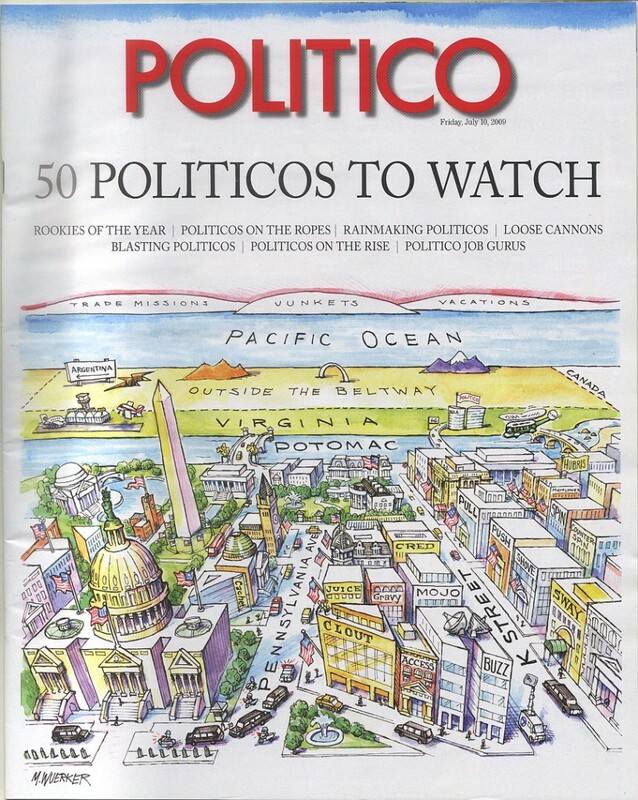 This issue (the third special glossy that POLITICO has published this year) is devoted to 50 Politicos to Watch. In some cases, the people are on the watch list because they are on the rise — the kind of list people in Washington relish being on. But be careful what you wish for. Some politicos are interesting to watch because they are in the middle of one sticky mess or another. But in every case, the names we compiled here — and, let’s be honest, the list is somewhat random — were identified by our reporters and editors as being characters in motion, in the middle of interesting plots. Continue reading at Politico . 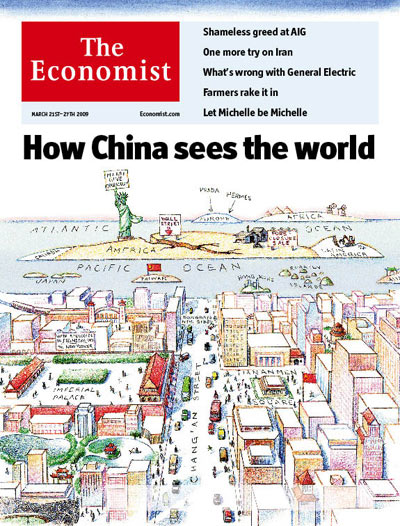 . .
Republished from the March 21st, 2009 print edition of The Economist. IT IS an ill wind that blows no one any good. For many in China even the buffeting by the gale that has hit the global economy has a bracing message. The rise of China over the past three decades has been astonishing. But it has lacked the one feature it needed fully to satisfy the ultranationalist fringe: an accompanying decline of the West. Now capitalism is in a funk in its heartlands. Europe and Japan, embroiled in the deepest post-war recession, are barely worth consideration as rivals. America, the superpower, has passed its peak. Although in public China’s leaders eschew triumphalism, there is a sense in Beijing that the reassertion of the Middle Kingdom’s global ascendancy is at hand (see article). China’s prime minister, Wen Jiabao, no longer sticks to the script that China is a humble player in world affairs that wants to focus on its own economic development. He talks of China as a “great power” and worries about America’s profligate spending endangering his $1 trillion nest egg there. Incautious remarks by the new American treasury secretary about China manipulating its currency were dismissed as ridiculous; a duly penitent Hillary Clinton was welcomed in Beijing, but as an equal. This month saw an apparent attempt to engineer a low-level naval confrontation with an American spy ship in the South China Sea. Yet at least the Americans get noticed. Europe, that speck on the horizon, is ignored: an EU summit was cancelled and France is still blacklisted because Nicolas Sarkozy dared to meet the Dalai Lama. Continue reading at The Economist . . .